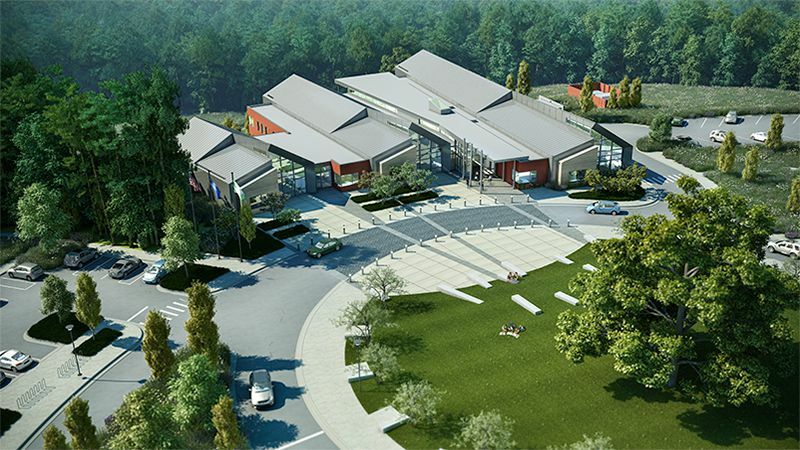 The new Varina Area Library is being designed for construction on a 22.11 acre site bound by Pocahontas Parkway (State Route 895) & New Market Road (State Route 5). The 43,885 gross square foot, two story library will be designed with future expansion capability to 60,000 square feet. The project will provide parking for approximately 220 vehicles. The project will seek LEED Silver certification as acknowledgement of sustainable strategies implemented during design and construction. These strategies will include the reduction in energy consumption and costs through the use of high performance Mechanical, Electrical, and building systems. Additional strategies will include the reduction of water usage, enhanced indoor air quality, and cost reductions through the use of regionally manufactured materials.